I wasn’t going to write a post today but when I turned my calendar and saw this antique brooch, featured in the Page-a-Day Gallery Calendar Jewelry 2014 by Workman Publishing (which I picked up for half-price at Barnes & Noble last month and have been loving), I thought it was too beautiful not to share. 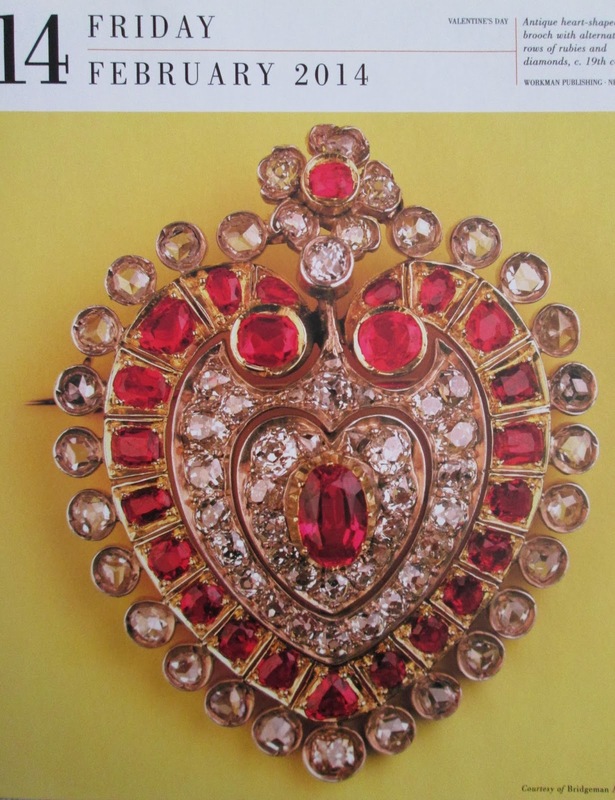 It is a 19th century heart-shaped brooch with alternating rows of rubies and diamonds. Stunning! 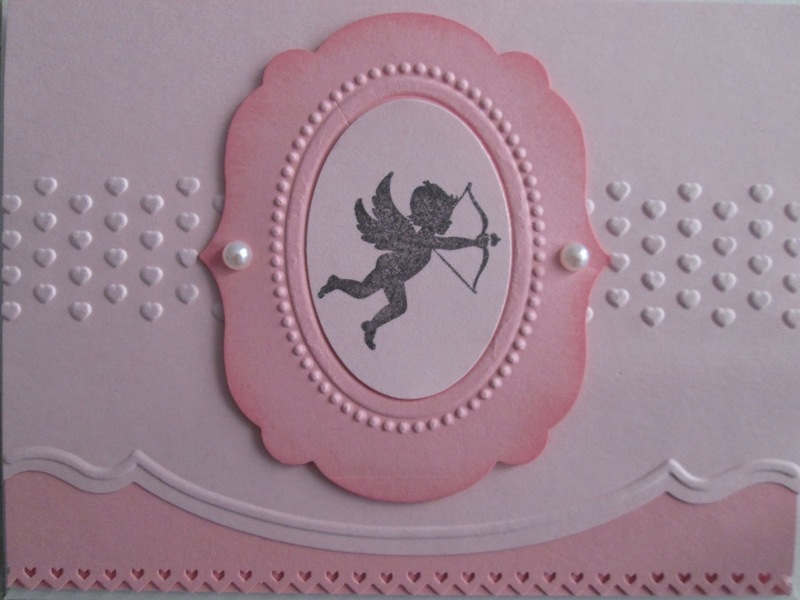 Another thing of beauty is this card my mother made for Valentine’s Day. Isn’t it divine? My Valentine’s Day night will be about staying in with my family and watching the Olympics (what a Valentine some lucky guy is going to get today when he is crowned the Men’s Olympic Champion in figure skating). However you celebrate, I hope your day is filled with fun and love. Happy Valentine’s Day to all you fine foxes out there! Very beautiful. An emblem of love. Wow, your mother made that? That's some talent! The brooch is stunning too. Enjoy the skating!! Happy Valentine's Day! We did an at home night too ... Those are my favorites. Gorgeous brooch! That is gorgeous, Jill. I am so impressed...what a treasure!